The Galleries at Bergamot Station are Here to Stay! On Tuesday, June 13 the City Council voted overwhelmingly to approve a plan that will keep the galleries at Bergamot and add new cultural uses, including spaces for a museum, community arts center, performing arts, and other non-profits. The galleries consider this a great victory and look forward to working with the new arts organizations to shape the future of Bergamot Station Arts Center. Art lovers are encouraged to attend Bergamot Station’s Summer Celebration of Art on Saturday 7/22/17; 11-4. Groundspace Project presents “It’s a Wonderful World” curated by Betty Ann Brown. The exhibition includes work by the following artists: Aline Mare, Andrea Bersaglieri, Ann Mitchell, Catherine Ruane, Cheri Gaulke, Courtney Hayes-Sturgeon, Dwora Fried, Erika Lizée, Jill Sykes, Kate Carvellas, Kireilyn Barber, L. Aviva Diamond, Lillian Abel, Linda Sue Price, Maria Larsson, Melissa Reischman, Michelle Rozic, Nancy Mooslin, Roger Gordon, Samuelle Richardson, Sandra Mueller and Susan Sironi. 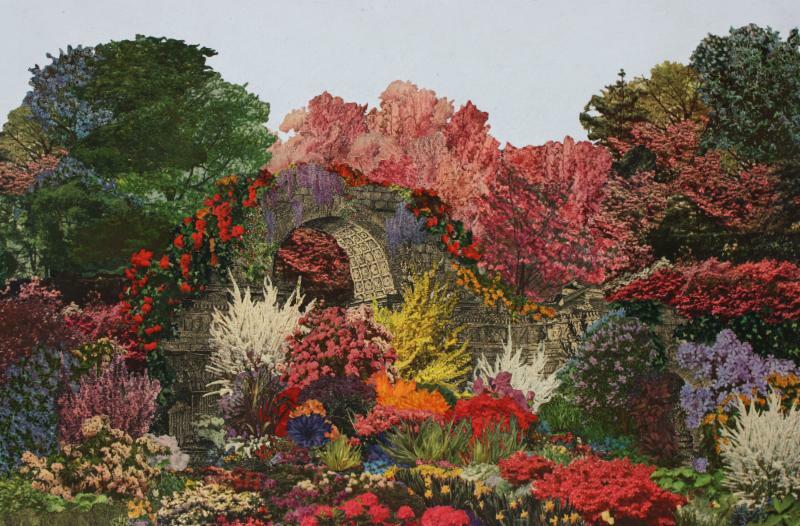 These artworks celebrate the marvelous beauty of our natural and built environments in a poetic and lyrical manner. Closing Reception and Curator’s Talk: Saturday, 7/22/17: 4-6 pm. “Meg Cranston: Same Composition, Different Hues, Different Titles” at Meliksetian/Briggs Gallery explores notions of seriality, repetition and perception. 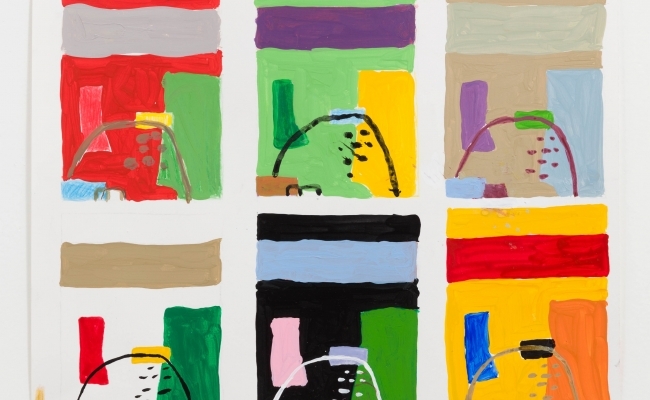 Her interest in color theory is demonstrated in using a palette of the same four colors and reworks abstract paintings by Le Corbusier in 6 variations. Each is identical in form and composition. 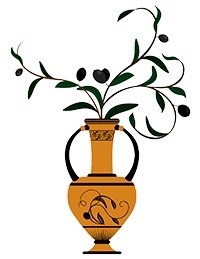 The colors are related to Pantone’s “Color of the Year” designation that is found in all manner of consumer products from home décor to fashion. Thru 8/5/17. Theodora Allen’s “Vigil” is the current exhibition at Blum and Poe presents recent oil on linen paintings that share a dreamlike quality. They are organized in two bodies of work: “In The Cosmic Garden” diaphanous visual patterns built from imagery of the of the natural world while “The Candle ” offers a suite of intimately scaled compositions. Thru 8/19/17. 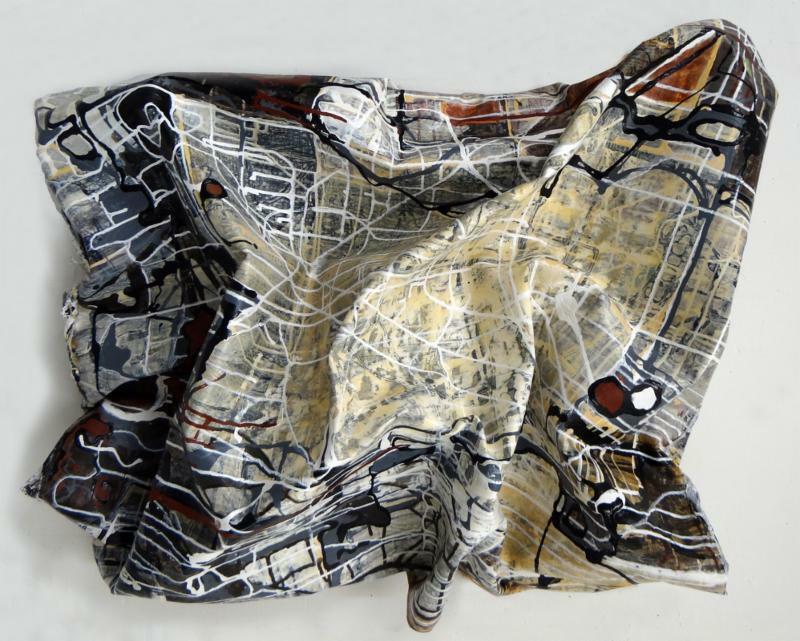 Currently at Spruth Magers Gallery is “Folds and Faults” an exhibition of works by Analia Saban. This new series demonstrates the artists engagement with the very basic tools of art-making. Although she she uses traditional materials such as paint, linen, wood, ink and paper, she challenges our expectations of what a painting, sculpture or drawing entails. Thru 8/19/17. 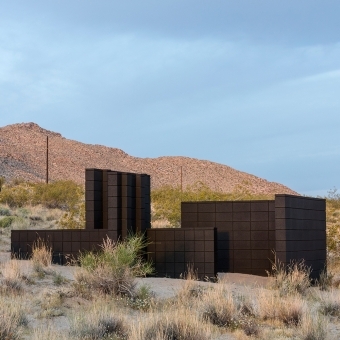 Regen Projects presents new and ongoing work by Andrea Zittel. Zittel continues her examination of ” How to live?” and “What gives life meaning?” Through a variety of tactics, she focuses on social norms, values, and hierarchies as well as the creation of new systems and structures for living. This two-part exhibition embodies Zittel’s evolving symbiosis between art object and active living environment and inaugurates the artist’s newest permanent public installation in Joshua Tree, CA. Thru 8/12/17. “Embedded” at Lora Schlesinger Gallery features the work of Laura Karetsky that examines how we communicate in the digital age. She invites the viewer to consider perspective and the way information travels via text message, Face Time or social media. “Hands at Work” at Shoshana Wayne Gallery features works by Sabrina Gschwandtner. Her studies of hands, craft and montage form the 11 quilts constructed from 16 mm film are presented in light boxes and a large-scale video that are on display. Continues thru 7/29/17. Read the L.A. Times review here. The Craft and Folk Art Museum’s “Keepin’ It Clean” exhibition features Betye Saar’s washboard assemblages. This series of washboard assemblage sculptures is an ongoing body of work Saar started in the late 1990s. The washboard is a powerful object used to examine the intersection of race, class, and labor. Two related tableaux and a selection of washboards from Saar’s personal collection are also included in the exhibition. Thru 8/20/17. 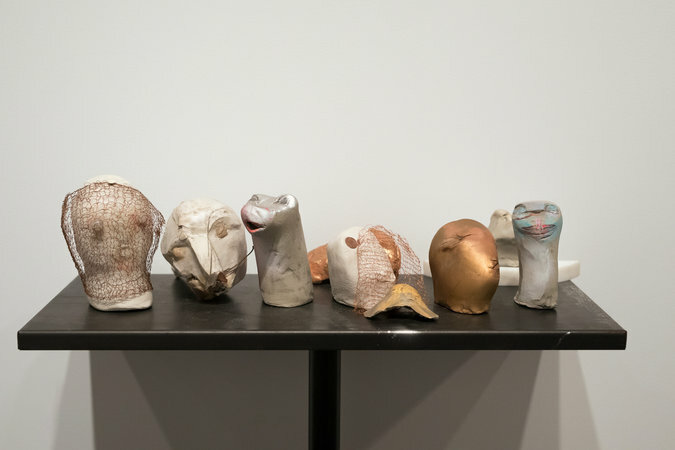 “The Sky is a Great Space” at the UCLA Hammer Museum brings together fivedecades of work by Marisa Merz. She was the sole female protagonist of the Arte Povera circle of artists that emerged in Italy in the late 1960s and rejected Italy’s material wealth in favor of “poor” materials. “Merz’s challenging and evocative body of work, which is marked by great variety in scale and material that also deals with sexual and cultural difference. Continues thru 8/20/17. “Illuminating Women in the Medieval World” is one of many exhibitions at the Getty Center, however this one focuses on the picturing of women. 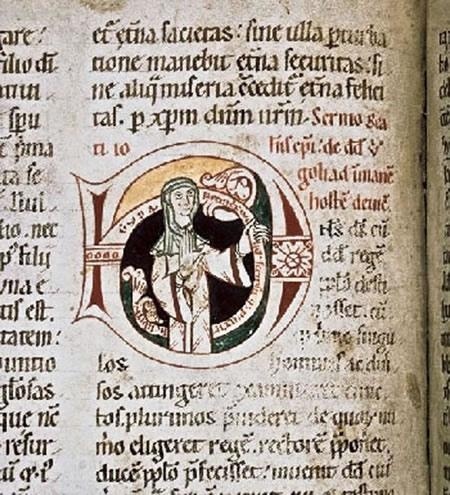 Women were not only represented frequently in manuscripts ranging from the Virgin Mary todamsels in distress, they also served as patrons and even as illuminators. Virtuous women, such as biblical heroines, steadfast saints and pious nuns were held up as models for proper behavior. In contrast evil-minded women were warnings against sinful conduct. It will be fascinating to see the focus on the female in this display of illuminated manuscripts. Continues thru 9/17/17. The Norton Simon Museum presents “Maven of Modernism: Galka Scheyer in California,” an exhibition that delves into the life of the enterprising dealer. Continues thru 9/25/17. Los Angeles to New York: Dwan Gallery, 1959-1971. Thru 9/10/17. The Museum of Latin American Art presents “Frida Kahlo through the lens of Nickolas Muray.” Fifty photographic portraits of Frida Kahlo comprise this exhibition. Thru 9/03/17. Lancaster Museum of Art and History‘s (MOAH)current exhibition is the launch for The Mojave Project, a multiyear transmedia project exploring the physical, geological and cultural landscape of the Mojave Desert. “Made in the Mojave” features works by Marthe Aponte, Carol Es, Samantha Fields, Randi Hokett, Aline Mare, , Catherine Ruane, and Kim Stringfellow. Thru 7/30/17. MOAH Cedar presents “Personal Territories,” a room sized interactive installation by Dani Dodge. The exhibition addresses ideas about HOME and features videos and sculptures and invites viewers to contemplate their own visions and memories of home. Thru 8/05/17. landscape. This recent work examines the visual language of mapping through process and manipulations of territorial boundaries and network of highways to better understand the ever-evolving world we inhabit. The works are a composite collection of locations that intuitively evoke a sense of place, time and people. Her paintings employ an underlying grid of poured pigments and richly layered surfaces that reveal and conceal strata and crust. Read more about Shelley Heffler on my blog. 7/15-8/12/17. “Water Works” is the current exhibition at Slate Contemporary in Oakland, CA. Works by Danielle Eubank, Audra Weaser, and Thea Schrack comprise this ethereal exhibition of images of water. Eubank’s images are both abstract and representational. She layers the paint with broad brushwork and invites the viewer to “appreciate the physical, painterly qualities that form the depth of experience.” Thru 8/26/17.